Long before Edward VII established Savile Row as synonymous with highest quality in male dress, and before his grandson introduced the concept of “soft dress” to the world (relieving it from, among other things, the starched collar) the Britons were world leading in combining common sense with style. It is this sense for combining elegance with practicality that brought to the world the Country style apparel, and with it a look that today is quite the convention all around the globe. 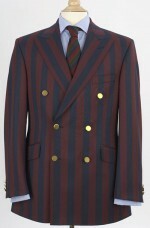 And no article of clothing makes a clearer testament to this than the sports jacketA sports jacket, commonly of tougher material than a suit jacket, is meant to be worn with trousers of another colour (and pattern). . The historic English aristocracy separated itself from the French in many ways, but in matters regarding attire, maybe one circumstantial aspect is the most important: It spent its leisure time in the countryside, and the need for clothes that would be as suitable for riding and shooting as for social life meant the advent of the Country style apparel. The shooting jacket, the hacking jacketA sports jacket initially designed for riding. 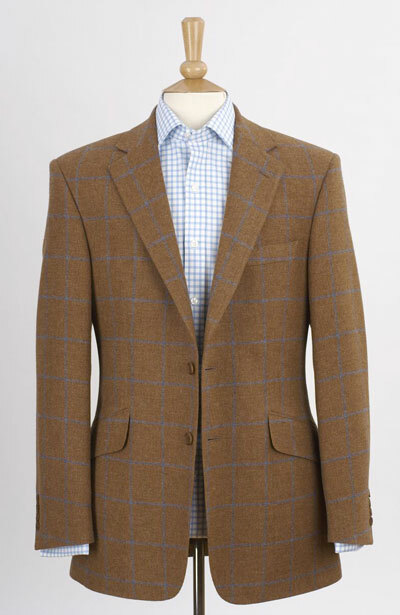 Usually a longer length tweed jacket with flapped slanted pockets, ticket pocket and center vent., the Norfolk jacket (named after the Duke of Norfolk, according to legend, and made famous by Sir Edmund Hilary, among others) and quite a few others, were designed with particular tasks in mind: The shooting jacket’s action back shoulders made it comfortable to swing the gun, the hacking jacket’s single slit in the back made it look attractive on a horses back, the Norfolk jacket’s built in belt and straps made it suitable to carry heavy equipment in its bellow pockets. In the nineteenth century, a gentleman would wear a morning jacketA tailcoat with the front skirt cut away, often worn with grey striped trousers. Replaced by the modern suit in the early twentieth century. with trousers in a different colour (often grey, with stripes) as formal wear. Suits were made of tweed, and were only worn for sporting activities; they were really sporting jackets with matching trousers. These early suits, often belted or half belted, with box pleats on the back and pockets, gradually made their way from the countryside and into the early stages of smart casual. And as the suits became more formal, and less often made of tweed, the odd jacket became an item in itself. By the late 1930's, most of its more practical features, such as the belt, had disappeared. The modern suit was born, and its less formal sibling, the sports jacket, took on the appearance we know today. 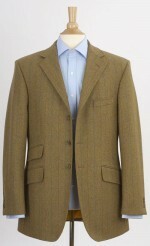 The tweed sports jacket, worn with for example grey flannel trousers, had become a common sight; and as the wool, cotton or linen suit became the required attire for business, combining trousers and jackets from different suits (light with dark, thick with thin) became a popular way of dressing for the holiday. The evolution of menswear may have left a variety of jacket models somewhat by the wayside, but the almost dizzying array of fabrics, patterns and styles available to the smart casual connoisseur of today certainly seems to suggest that the by now classic odd jacket – tweed, cotton, linen or silk; grey, blue, white or brown, patterned or solid – is here to stay. 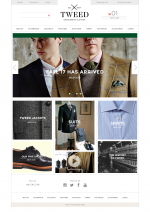 Do you have any Norfolf Jackets in tweed? 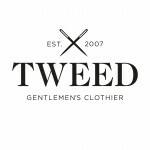 We are seeing here in Australia some sort of a comeback of tweed. Many of the gentlemen riders are now looking for exceptional tween style jackets. It's is very cool to see. This is really interesting as I haven't seen a tweed rising jacket in competition for a long time, at least in my sport of showjumping. 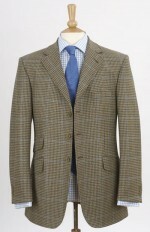 Maybe there is a market for new release stylish tweed jackets in competition?